The Riga Conference Papers 2017 offers a collection of articles reflecting the realities and prospects of the area in the transforming security landscape. Discussing the changing national security strategies in the Baltic States and Poland, as well as the regional defence policy transformation. Authors also reach beyond the region towards the manifestations of solidarity and evaluate the Baltic Sea Region amid the “new normal” in the relationship between the West and Russia. Last but not least, discussing energy and economic security issues, as well as non-traditional aspects of security. 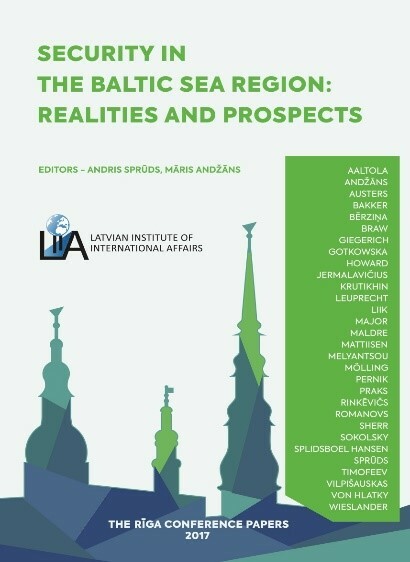 Read Riga Conference Papers for free on the Institute’s webpage.